Northampton Saints scrum-half Lee Dickson has warned that they cannot afford to start their Premiership semi-final to Leicester Tigers badly. 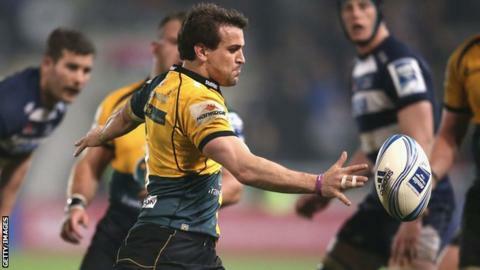 Saints recovered from 13-0 down at Franklin's Gardens to beat Wasps 74-13 to book a home semi-final. Dickson told BBC Radio Northampton: "We can't leak that many points and win against a team like Leicester. "We've been to the final before and we want to go one better. The boys are excited." Dickson continued: "Leicester are a phenomenal team and they've probably hit form at the right time but, coming to Franklin's Gardens with the crowd behind us, you never know what's going to happen." Saints have failed to beat Tigers since September 2010, drawing once in their last 10 meetings, but Dickson is confident they can beat their conquerors from last season's Premiership final. His side ran in 11 tries against Wasps, including two for Dickson, whilst Leicester battled to victory against Saracens. "The enjoyment is back and with the backline and forwards we've got, with the expansive rugby we can play, it's a great challenge for us next week," Dickson said. "We've got to make sure we go for a full 80 minutes."